I got married a year and a half ago. To this day my dress has been hanging around my house waiting for something to happen to it. This day and age, what do people do with wedding dresses?! There are a few obvious options, preserving it, selling it, or keeping it in the closet with hopes that your daughter will "say yes to your dress". Unfortunately I am not one of those sentimental people that wants to hold onto my dress for my future daughter. I hope to heavens that she is cool enough to have her own style and her own wedding day look. I really don't want to force it upon her because I have been holding it for 30 years. The whole concept just doesn't seem all too practical to me. As for the sentimental side, I did take some of the petals from the bottom and add them to my wedding shadowbox in the form of a flower to keep a piece of my dress forever. But the whole thing? I don't really need it sitting around! Another idea was to preserve it. I feel like that is even less practical seeing as it is sitting in a box that you can't even open! That just seems like a real pain. I tried selling it with little luck. Maybe I should try that one again. I was hoping the concept of used wedding dresses would become a much bigger ecosystem. Not just for my sake, but for practicality's sake. After months hung on the door to my crafting closet, I HAD to move it. My office is far too full as it is. Finally I nailed a nail into the wall of the guest bedroom and hung it there so it was out of the way and added a tinge of decor to the room. It is fine there, but of course I worry about it. So now what? What is everyone doing or planning on doing with their dress after the big day? Would love some ideas or suggestions to help me out a little as I am starting to feel a little stumped on the whole thing. I posted about our amazing anniversary weekend in Carmel Valley. I'm so excited to share a bit more about our anniversary and how we spent our actual anniversary day! Ian designed and printed this for me for Christmas. I LOVE IT. Months before our anniversary I was trying to figure out the perfect thing to do for us. I decided a picnic at Holman Ranch (our wedding venue) would be an amazing place to spend our day. After a few calls, I had it all worked out. Holman Ranch was going to let us use the property, our caterings (Paradise Catering) were going to create a yummy lunch for us, and Tatum Brooke agreed to come shoot some anniversary photos for us. The hardest part? Keeping the whole thing a surprise for MONTHS! Check out our Anniversary Shoot featured on Love & Lavender. The wedding day can be FULL of mistakes, surprises, and potential disasters. I don't know what to say, it just is. Years later you can look back and laugh about some of the imperfections, but at the time, they are definitely trying. For me, that was an understatement. I had so many things happening the day of, it was definitely exhausting. Luckily for me I had literally the best planner of all time, Shannon Leahy. I couldn't believe how professional and on top of things she was. With every disaster from rain and hail to wine all over my dress, she was there and was literally my rock through the whole thing. Not only was she my saving grace, but I actually had members of the family, wedding party and even guests comment on how calm and together she was. When I walked into Holman Ranch for the first time on the day of the wedding, I was totally blown away. We had mocked things up. drawn photos and talked about it all, so I was pretty sure I had a really clear vision of exactly how it was going to end up on the day of. She took all my ideas, DIY projects and props and created something that made my original plan look blah-zay compared to the magic she created. Everything literally beat my exceptions by a long shot. I couldn't believe how good she was. She was one of the most fun people to talk to during the planning process. Not only did she totally understand my ideas and what I wanted, she really helped me hone in on what I needed and didn't need to create something awesome. I trusted her completely and knew that she was totally getting me the entire time. And on the day of, she really did exceed every exception ever, and how she stayed calm through it all was just beyond me. I fell in love with her in the beginning because her body of work is all so magical. I loved every single one of her weddings and styled shoots so so much. I knew her and I had a similar style, and I was quite right. Of course I would totally recommend her in a second to anyone planning their wedding. She is just so talented. Check out Shannon Leahy's website! All photos are of weddings and styled shoots she has done in the past and can al be found on her website. I have got a bit of an announcement for all you brides today! It's just a little something to help. Should you choose to accept I'm all ears for anything. Let me know how I can help. 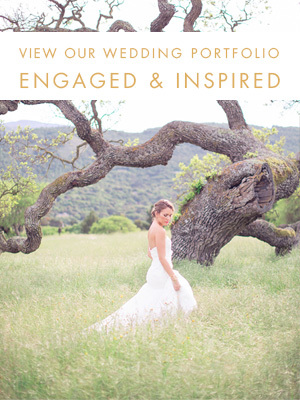 E-mail me allison@engagedandinspired.com and we can figure out the deets and meet! Whether you just got engaged or have been at it for a while doesn't matter. Whether you have a planner or not doesn't matter (because, see, I am not here to take the place of the planners and designers in the world). If you want another bride to talk to about the thing we call wedding planning I can help give the bride's perspective on it all. Topics include, but are in no way limited to (seeing as I know you guys are incredibly creative and will think of everything!) detail ideas, help finding vendors, don't know if you should hire a certain type of vendor for your wedding, DIY ideas, personalization ideas, or just need someone to give advice on anything and everything from stay on budget to all that fun stuff. I have seen over 100 venues in the Bay Area (and unfortunately I am totally not exaggerating) have researched and met with dozens and dozens of vendors in SF Bay Area and know my way around an inspiration board, detail design not to mention all the DIYing I am known to do. What's in it for me? The wedding blues are hitting me at full force and I need an outlet for all this creativity buzzing around in my mind. If I can help by offering advice, suggestions or do anything to make you a little less stressed, I am happy to help. Plus, I know so much about the Bay Area wedding industry that there is no point in you all reinventing the wheel when I can download all the goodness onto you. In essence this is a totally free thing. Let's have a little bit of fun! So, if you need a little help or just want to talk my ear off, I am here! Let's grab a coffee, brunch, drinks, whatever and spend a bit of time getting some off-line in person help from someone who just went through it. And if you don't live in the Bay Area but want to blab about all things wedding, don't fret, I am still just an e-mail away! Maybe you have noticed a few new words appear on the header of the blog this morning.....hum, what could that be? Since I am getting anxious, and have about a million boxes of stuff to sell, I figured I would start now with a few listings.Rest assured so much more more good stuff is on the way including (but not limited to) windows, furniture, and signs will be added to the pages very soon. Ok I am back from the whirlwind that was this wedding weekend. (Actually, tons of family and friends are still in town and we are continuing with an after-after party tonight!) Time to unpack and get everything settled, then pack it all up again for Australia on Monday! The wedding in reality put all the drawings, inspiration boards and ideas that I had of the wedding to shame. What I imagined it would be pales in comparison to how it turned out. And that is all thanks to the amazing team that I had there to help me. Thanks so much for all the love and the well wishes over the past few days. I saw every one, even if I didn't respond to it personally. (although I think I responded to about 90%). We are super super excited about Australia and New Zealand and about starting the rest of our lives. I will definitely give all the details, stories and re-caps when I have photos to show you all how it turned out! So I woke up this morning with the usual weather, email, facebook and twitter checks. Today was different though because some amazing bloggers got together and created a post just for me! I have participated in virtual bridal showers in the past, but never thought I would be on the receiving end of such a lovely gesture. Each wrote sweet little notes that literally made me emotional right here at the coffee shop. You guys are so so sweet. Thanks so much for posting this and for all your kind words, it really means so so much to me! I love the concept of life after I Do, and I know that Ian and I have a lot to look forward to! This board is truly inspiring and utterly amazing. So click around and check out who participated in this amazing little gift!